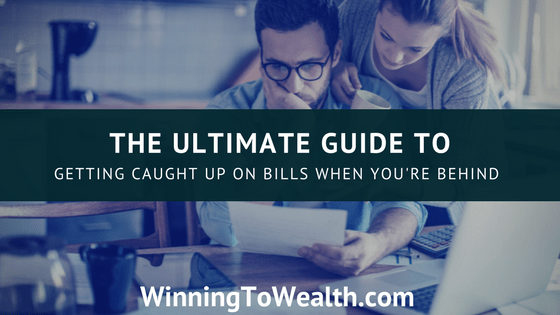 I really don’t like wasting time or money. A big part of why I don’t like going to the grocery store is because I usually find some kind of way to pull off both in under 30 minutes. Then factor in having to actually cook the food and it created a nightmare. I would either hate the cooking part or just not cook at all and go grab something quick and unhealthy. 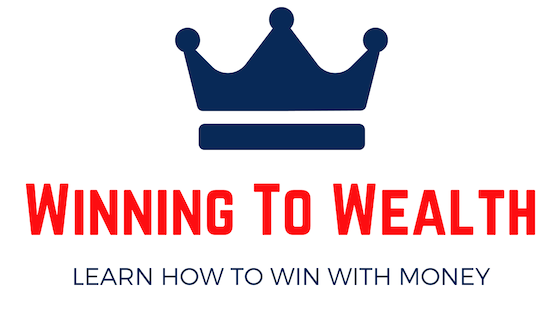 This is a pretty vicious cycle of doing the two things I absolutely hate doing: wasting time and wasting money. 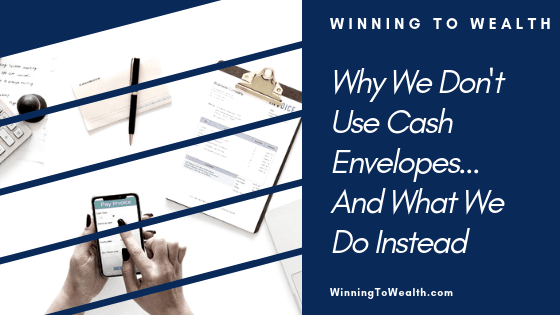 That’s why I decided to put together a post on some awesome keto recipes that will save you both time and money. 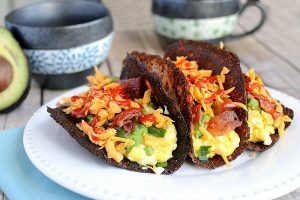 Who doesn’t love a good breakfast taco? This amazing recipe from Ruled.Me is the perfect breakfast meal for when you’re on the go. The best part is that you can actually make these in batches, store them in the fridge, and keep it moving until you’re ready to make them. It has bacon, eggs, and avocado with a shell made of cheese that gives it just the crunch that you don’t get from other shells. Also, if you’re like us, you probably already have these ingredients lying around so there’s no need to go buy anything special. 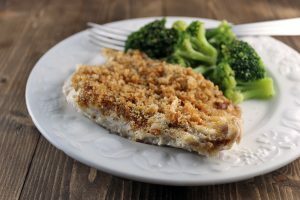 Doesn’t this recipe from Hey Keto Mama just LOOK amazing?!?!? 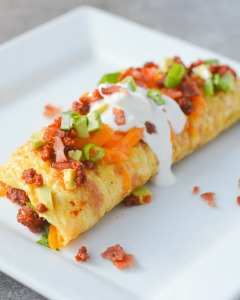 Omelettes are always an easy and affordable meal and this is one of those Keto recipes that definitely falls in line with that. This Chorizo Omelette has approximately 32.5 grams of fat, 18 grams of protein, and 2.5 grams of carbs making it an excellent keto breakfast. If you are an omelette lover definitely grab this recipe here. 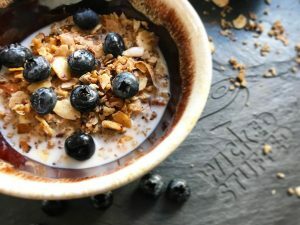 At about 5 minutes of prep time and 10 minutes of cook time, this granola recipe is super simple to make with ingredients that make each serving very affordable. 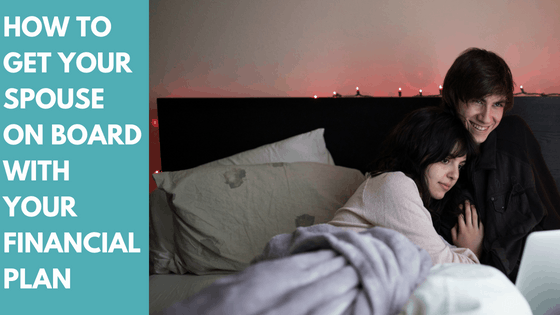 It’s perfect for those days when you’re just not feeling like making an elaborate meal for breakfast or when you’re in a rush and need something quick. This recipe has almost 15 grams of protein, 54 grams of fat, 6 grams of net carbs and is definitely enhanced by unsweetened almond milk. 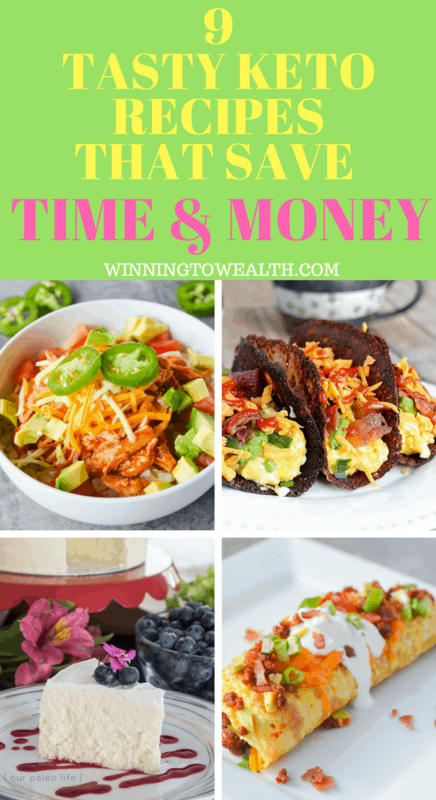 Brenda from Sugar Free Mom gave us a real gem with this awesome instant pot recipe. Not only is this an awesome dish, but there are numerous sides you can pair with it. 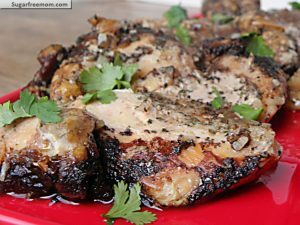 I absolutely love chicken thighs, but Taylor is more of a chicken breast type of girl so it was good to know that we could whip these up either way. The recipe has over 20 grams of protein, 4 grams of fat, and 5.5 grams of carbs. You can find everything you need to whip these up by clicking here. 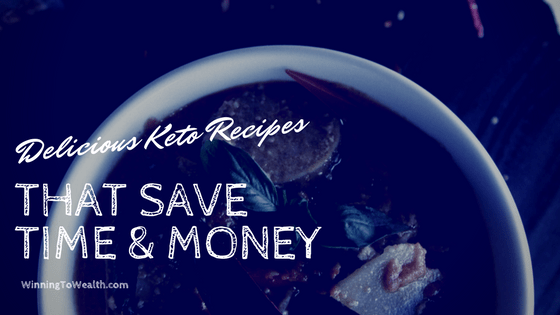 Need to whip up a delicious keto meal but short on time? 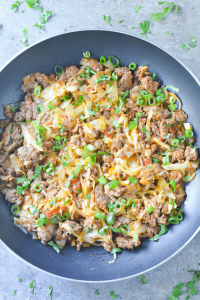 Check out this awesome skillet recipe that can be completed in about 20 minutes tops. This simple and affordable keto recipe comes in with 30 grams of protein, 21 grams of fat, and only 4 grams of net carbs. Be sure to get the details on making this one over at Hey Keto Mama. I can guarantee you won’t regret it! 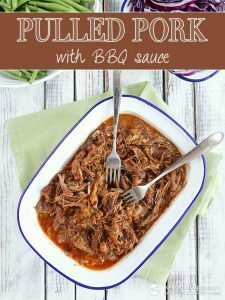 This pulled pork with BBQ sauce recipe is great for a family meal after a long day. It only takes about 15 minutes of prep, however, you will need a slow cooker as it’s recommended that you allow this to cook for at least 7 hours. This recipe contains 35 grams of protein, 37 grams of fat, and less than 4 grams of net carbs per serving. You can check it out over at Keto Diet App. 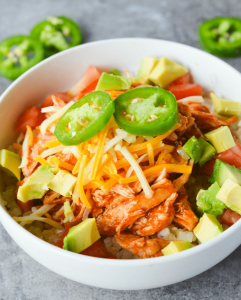 One of the most versatile keto recipes in terms of prep is this chicken enchilada bowl from Hey Keto Mama. What I mean by that is you can prepare this on the stove top, slow cooker, or instant pot depending on just how much time you have. Taylor loves mexican food so this honestly may become a staple in our household. This recipe has 2 grams of fat, 18 grams of protein, and 6 grams of net carbs and you can find the full recipe at Hey Keto Mama. I’ve gotta be honest here I’m definitely not that big into seafood, however, I can definitely appreciate a good tilapia recipe. This is another great dish that you can prepare with a variety of sides and can feed an entire family in under 25 minutes. This tilapia recipe has less than 15 grams of fat, 23 grams of protein, and only 0.5 net grams of carbs. Did you honestly think I could make a list of great keto recipes without having a dessert? 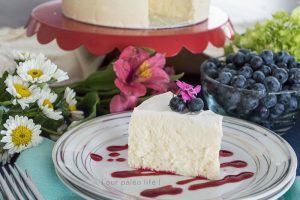 I absolutely love cheesecake so I was definitely excited to find this recipe. It has less than 7 grams of protein, 23.8 grams of fat, and only 3 net carbs. Do you have any awesome Keto recipes that you’d like to share? 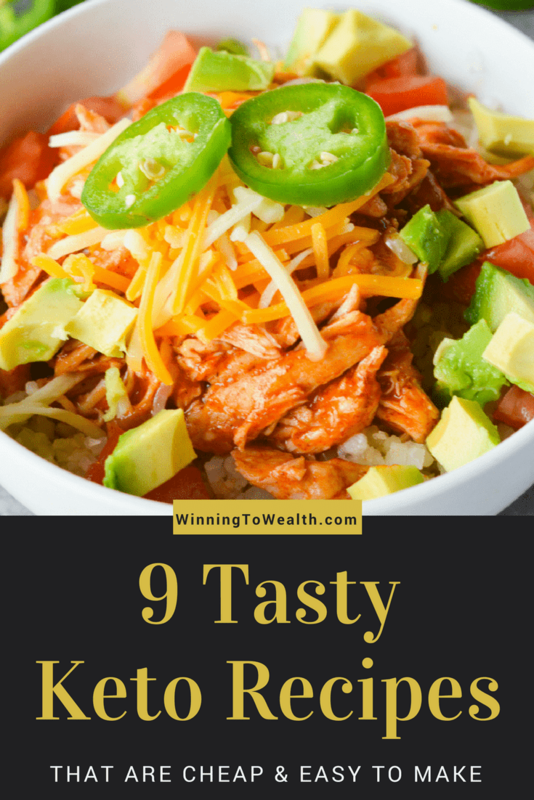 These keto recipes are perfect! I’ll definitely going to these someday! These looks so good!